BCST is using a very gentle touch so that the baby can fully relax and discharge tensions in the most natural way. BCST can be helpful during pregrancy and after birth as well for the first months and years of the baby. Our modern lives are more demanding not only on ourselves but also on our children. General complaints are sleeping issues and problems to focus. Deep relaxation will help to restore the health of the child in short time. Sports injuries and car accidents often occur on joints in connection to strained muscles and ligaments. BCST can promote the release of trauma out of the damaged tissue so that the self-healing of the body becomes restored. "There is no movement without rhythm"
Biodynamic Craniosacral Therapy (BCST) is a deeply relaxing bodywork for a wide range of health issues. The practitioner listens "through" the hands to the body's subtle rhythms helping to promote the optimal conditions for health and wellbeing. BCST is suitable for people of all ages and is even safe for pregnant women and babies. Barbara offers Craniosacral Therapy in a natural setting providing a quite and relaxing atmosphere. 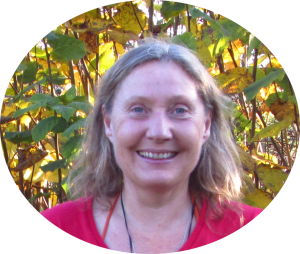 Barbara is bringing Biodynamic Craniosacral Therapy (BCST) to pregnant women, babies, toddlers and adults. Her academic background in sciences blends well with her passion for wellbeing and natural healing. Barbara is a Zen meditation student for nearly 20 years and she studied four years Integrated Energy Therapy in Switzerland until she found her home with the Biodynamic CranioSacral work. She trained Biodynamic CranioSacral Therapy with the Bodyintellegence School in Dublin and graduated in 2012. I started getting Craniosacral Therapy after suffering an extremely bad skate board accident in which I got a slipped disc in the lower back. I have continued to receive treatments ever since and it allowed me to go back to work. The treatments also helped me to relax and to keep my work-life and health up. I’m living pain free now. Shooting pains and swollen fingers in my left arm where normal for months. I didn’t want to go on higher pain killers as they anyway didn’t do much for me. I’m so glad that I found the craniosacral work. For a long time the pain is gone and the arm is the most time good – only cold weather affects its sometimes. I found Biodynamic Craniosacral Therapy exeptionally beneficial. When it came to my knee, my back, my shoulders due to heavy manual lifting they are now far better and it is not so much strain anymore in other parts of my body. I’m more relaxed and much calmer. It also helped me to sleep better. Working with Barbara during my two pregnancies was a necessity as well as a treat. I truly feel that she prepared me to embrace my birth story and empowered me to ask the difficult questions necessary to prepare for giving birth. Her space is a cosy healing retreat, with the welcome warmth of a wood stove. Each session opens with honest and insightful conversation before moving into the body work. I found the therapy deeply calming, both physically and spiritually. Barbara facilitated a connection between myself and my baby that opened vital energetic pathways of communication and rhythm to sync us during the birthing process. She also opened conversation between myself and my husband that prepared us to become a family and welcome each new life into our own. I am grateful to have had therapy with Barbara during this tender and significant time of my life. My husband, who is open to alternative medicines, also found that therapy with Barbara helped him to prepare for each birth. We would highly recommend craniosacral therapy to any couple who is expecting. Thank you. I highly recommend Barbara! She is definitely a saint for me.. she is amazing doing these treatments.. she helped a lot with my pregnancy and post…. thank you for always helping to keep positive mind and body! I was visiting with a pregnant friend who highly recommended Barbara. I was more stressed than I realised at the time and eventually caved in and went for a session. It changed my view on many things including Barbara’s work AND my own life. I have since recommended her to others who have felt the same way.